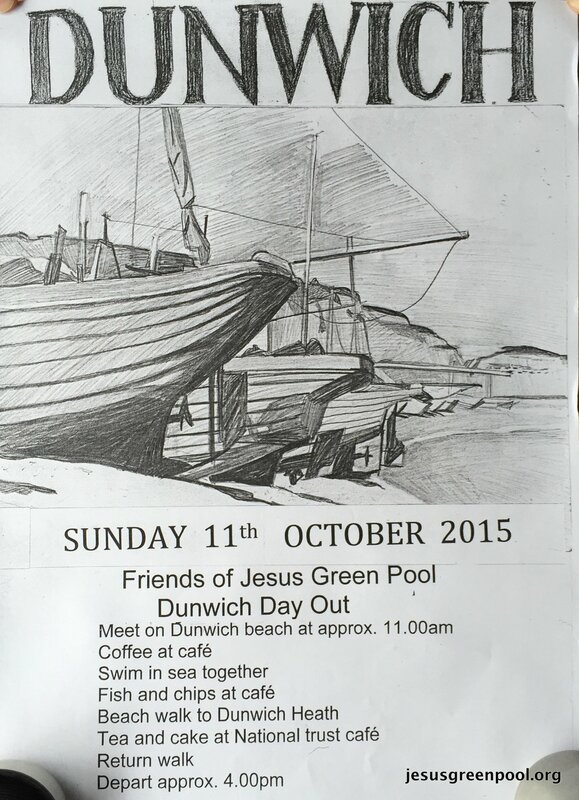 The trip to Dunwich will be on Sunday October 11th. Our day will follow the usual pattern. 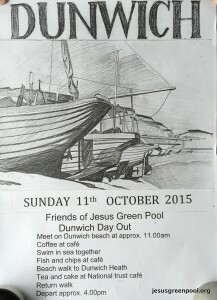 Make your own way to Dunwich beach to meet at about 11am – coffee at the beach café – swim in the sea together – fish and chip lunch at the café – beach walk to Dunwich Heath – tea and cake at the National Trust café – return walk – depart about 4pm. Feel free to join for any or all of the above. This entry was posted in News on August 26, 2015 by GJ.